Once you’ve uploaded a photo or image, you can choose what kind of reward will occur when the object is selected; a voice recording, movement or both. 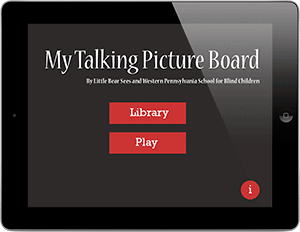 Arrange images on the play screen and then ask the student with CVI to touch a particular object. When touched, the object will respond with the reward action you’ve set. 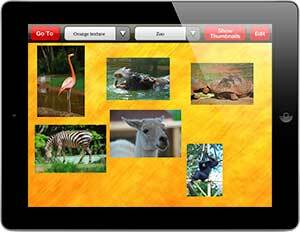 Customize the experience by arranging your photos into groups and selecting background images of varying levels of complexity to make the task more or less challenging. Identifying two-dimensional images can be particularly difficult for those with CVI and this app is the perfect format to offer customized practice in this area! If you have questions or comments about the new app, please contact us. If you need directions or help using the app, see our directions for use.